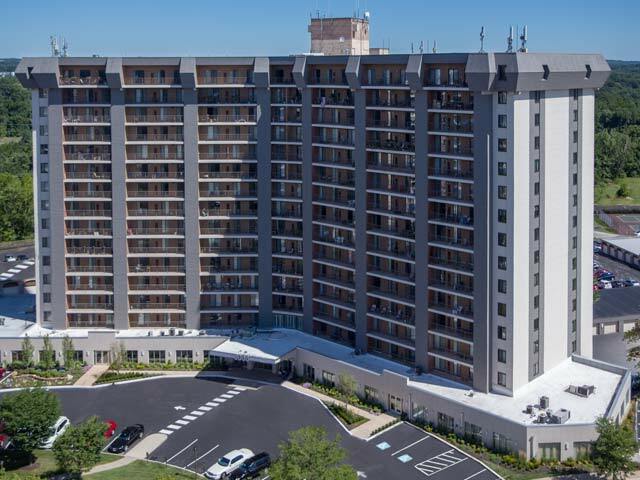 Valley Forge Towers offers luxury high-rise apartments near King of Prussia and some of the area’s largest employers. Our KOP apartments are situated in the perfect location to enjoy one of the fastest growing areas in the region. From the King of Prussia Mall to the slew of employers all along the Main Line, living at Valley Forge Towers puts you in the ideal spot to enjoy shopping, dining, entertainment, and a quick commute to the office. Offering a variety of spacious one-, two-, and three-bedroom floor plans outfitted with premium amenities like granite countertops, balconies, incredible views, and more, you’ll love living at Valley Forge Towers. King of Prussia, and the surrounding area, is home to a host of big name employers all within minutes of your front door. Less than 15 minutes from our apartments near KOP, you’ll find SEI Investments. Headquartered in Oaks, PA, this financial services firm manages, advises or administers $809 billion in hedge funds, private equity, mutual funds and other managed assets, and employs more than 3,300. Another major employer headquartered in the area is CSL Bearing. This biopharmaceutical company, which manufactures plasma-derived and recombinant therapeutic products, employs more than 19,000 across 30 countries but maintains its headquarters in King of Prussia just three minutes from Valley Forge Towers. The company’s history dates back to 1904 and has been progressing in the industry since. Our apartments near KOP are also convenient to major thoroughfares so whether your office is along the Main Line or in Center City, you can get there with ease. Set just off the interchange of I-76, I-276, and routes 202 and 422, getting around is a breeze. Valley Forge Towers is also just a three-minute walk to public transportation – so whether you’re driving or riding, getting to the office is simple. If you’re looking for luxury apartments near KOP, contact us today to learn more and to schedule a tour of Valley Forge Towers!